Welcome to Rachel’s English – where you can transform your spoken English. Rachel’s English provides over 500 free videos, which have gotten over 70 million views as of January 2018 (click here for updated number), to help non-native speakers improve their spoken English and listening comprehension. Videos focus on a variety of topics from the correct mouth position of sounds to words that reduce and real English conversation study. Americans who have suffered a stroke and need resources to re-learn the movements of the mouth when speaking English. 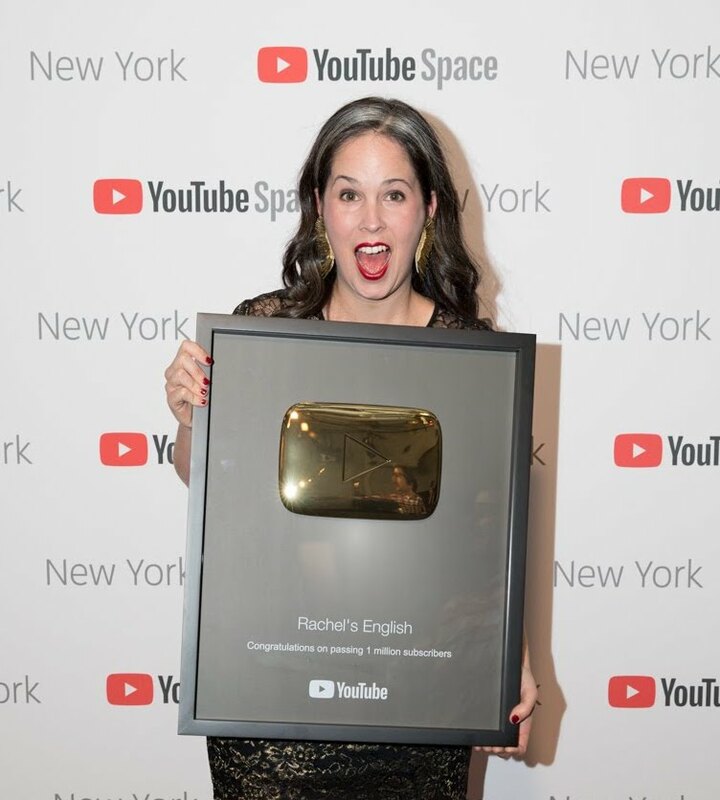 Always be the first to get the latest news from Rachel’s English, sign up for the mailing list. Rachel has been working on Rachel’s English since 2008. Having taught ESL off and on since 1999, she became interested in developing a pronunciation-focused resource while living in Germany under the Rotary Ambassadorial Scholarship program in 2008. Rachel’s initial idea in developing Rachel’s English was to make the kind of resource for self-study that she wished she could find for her own foreign language study. As a classical singer, Rachel has spent much time immersed in singing in German, French, Italian, and Spanish. She studied with highly acclaimed vocal teachers and coaches and brings a body of detailed knowledge connected to the voice, placement, and the musical nature of speech to her work as a pronunciation coach. Rachel lives in Philadelphia. She was born and raised in Florida, went to college in Indiana where she studied Applied Math, Computer Science, and Music, and graduate school for Opera Performance in Boston. Thereafter she spent 8 years in NYC, where many of her videos were filmed, before moving to Philadelphia. She loves being connected to people throughout the world through Rachel’s English.